Lowepro has been in the game for a long time, which means it has a lot of experience creating bags such as the Flipside Trek series. With a 21L capacity in its rear-entry compartment, it’s capable of holding a pro DSLR and 70-200mm f/2.8, as well as up to three additional lenses. You have the option of mounting a compact tripod to the side, like many others in test, and the large top compartment with a mesh pocket is ideal for flashguns, batteries, SD cards or a waterproof jacket. 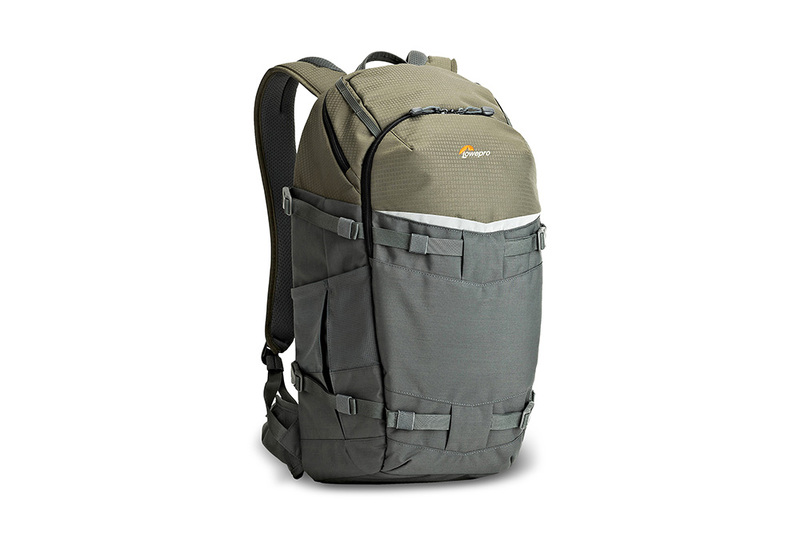 As the name suggests, this backpack has long treks in mind, and the design features the company’s ActivZone suspension system, which ensures the weight is well distributed across the straps. This allows for comfortable use over extended periods – a real bonus. You can pack a 10in tablet into the secure CradleFit pocket, and the attached AW (All Weather) cover slips over the bag in severe conditions to add an extra level of protection. For this price, it’s a tough act to beat. Find out more at the Lowepro website.